Julian Robinson (right) and Fedrick Dacres. 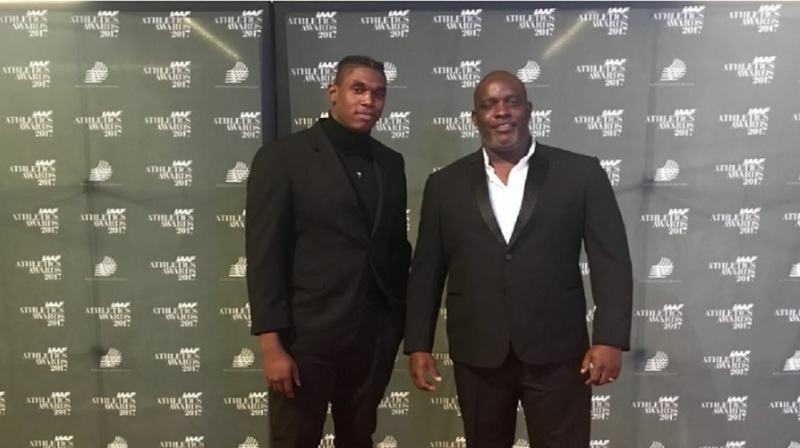 Jamaican Julian Robinson, the country's top throw coach, has been named North America, Central America and the Caribbean (NACAC) Track and Field Association Coach of the Year. Robinson is the coach of Fedrick Dacres, NACAC Senior Men’s Athlete of the Year. "I am honoured and humbled," Robinson said in response to winning the award. "It says a lot about the advancement of the throws in Jamaica and NACAC region." Robinson began his coaching career just over a decade ago with the aim of giving back to his alma mater Calabar High. In that time, he managed to transform Calabar High into a high school throws powerhouse, producing throwers like Dacres, Traves Smikle, Ashinia Miller, Chad Wright, Basil Bingham and Kai Chang, among others. Dacres has been the most accomplished of his throwers. He won the World Under 18 title in 2011 and the World Under 20 title in 2012. Dacres won the Pan Am title in 2015. 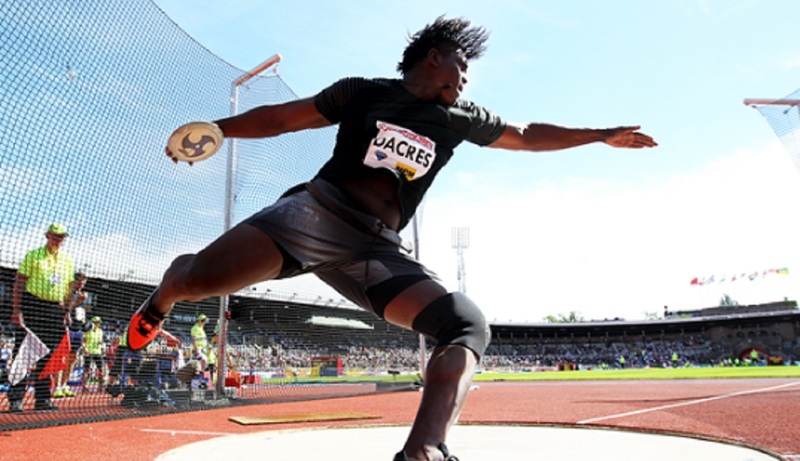 Dacres had a very outstanding 2018 season. He won the Commonwealth Games title in a new championship record of 68.20m, the NACAC Senior title in Toronto, Canada, the Diamond League title (the first time a Jamaican had ever accomplished that feat). He closed his season by winning the Continental Cup title in Croatia. Smikle, meanwhile, won silver medals at both 2018 Commonwealth Games and NACAC Senior Championships. He also won a bronze medal at the CAC Games. 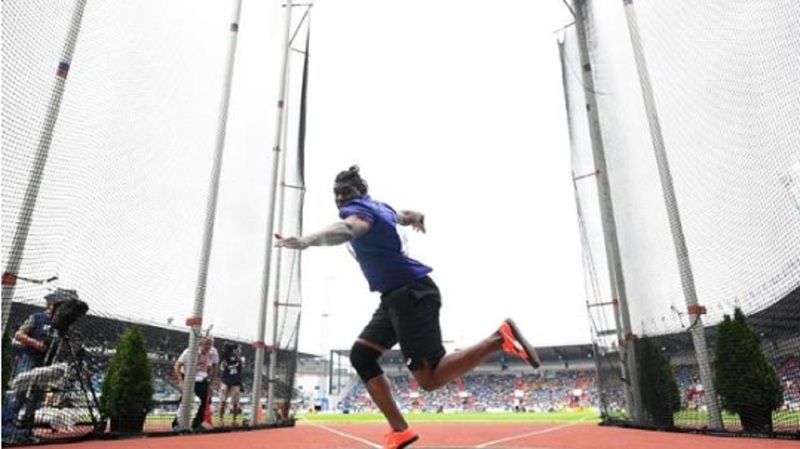 Robinson also guided Kai Chang to the World U20 title in Tampere, Finland in August and Zackery Dillon to the Carifta U17 shot put and discus titles. Dr Warren Blake, president of the Jamaica Athletic Administrative Association, said the award is a fitting tribute to Robinson, who has done well at both junior and senior levels.